Mr Carew grew up in Doon Co. Limerick. 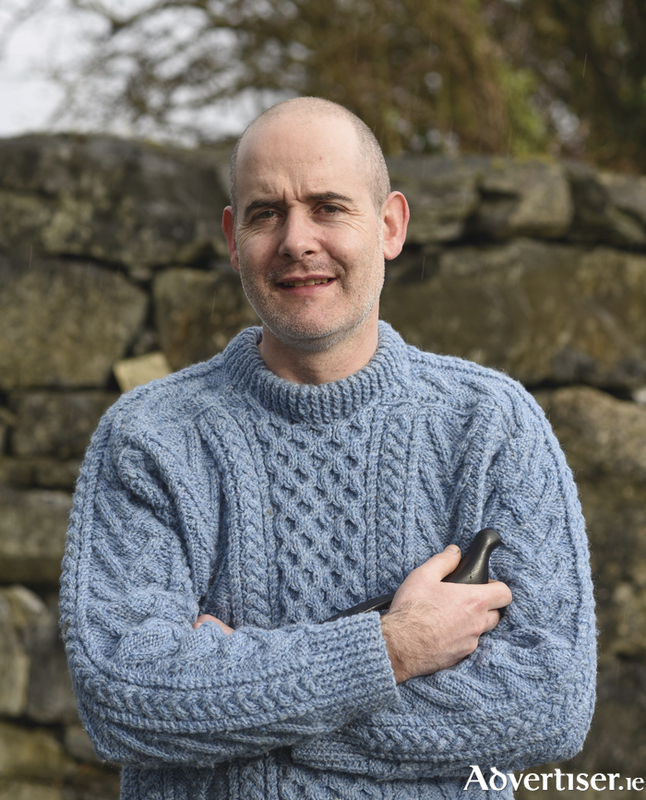 He studied Engineering in NUI Galway before moving to Letterfrack in 1997 to study Furniture Design and Technology at The National Centre for Excellence in Furniture Design and Technology, Letterfrack (GMIT ) as it is now known. He then returned to live in Co. Limerick and taught woodwork in two Limerick inner city schools. During this time he continued to develop his design aesthetic until he decided to focus on creating a full time business. He moved to Galway with his wife and two young children in 2015. He has a studio workshop in Newcastle called Tommy Carew Design. Tommy is also a traditional musician and singer. He was part of The Josephine March Band in his 20s and 30s. The band toured Europe and the US and he now plays occasionally in trad sessions in the city and beyond. The Irish Design Works exhibition will include Tommy’s unique JAS Carver chair which was selected for exhibit in the Emerging Makers category at the RDS National Craft Exhibition in 2015. The JAS Carver is inspired by the simplicity of Scandinavian furniture. This hand-made contemporary chair reflects a passion for traditional handcraft and modern design. Constructed in beautifully figured olive ash, the carved seat and backrest seem to float on the framework structure featuring through tenon and through dovetail jointing details. This one-off piece is finished in Danish Oil. The exhibition will also feature other handmade furniture as well as Tommy’s signature Lovebirds. The birds display sensitivity to sculptural form, an appreciation of nature and also a deep understanding of the natural material. They are ebonised and finished with natural wax. Sculpted from native oak, these graceful birds perch side by side to inspire loving relationships in the home. The Feng Shui of grouping objects in pairs throughout your home is believed to subconsciously strengthen the flow of energy for more loving and positive relationships. Hence the name, Lovebirds, which are proving very popular both as wedding gifts and presented in a stylish gift box. The Lovebirds were inspired by Charles Eames’ house bird which was positioned in the background of his interiors photography. Tommy was attracted particularly to the solid colour, black. He tends to design with black in mind, particularly when form is a strong element, the strong solid colour allows him to focus on the form. ‘Sculpting these birds brings me to the still and calm of nature, not only through subject but also through process and material. To create these organic forms the wood is worked using the very hand-tools that I first handled as a very young maker in my father’s workshop. For me it was a space for creativity. I have a school copy book from when I was eight years old in which I described how I wanted to be a furniture maker when I grew up, so I guess that was inevitable!’ says Tommy. His JAS Carver chair and Lovebirds can be seen at Galway Design Box at GUH until the end of June. This designer finds inspiration in the everyday, in the natural world. His design process begins with sketching, followed by standing at the bench to work directly with wood. Then it’s a process of refining the design over time. He finds that bringing ideas into the real world is exciting but the design process does not stop there. There are almost always some changes and improvements to be made before reaching an aesthetic that he is happy with. The final details have to be very carefully considered to complete the process. ‘My designs are carefully manufactured using age-old techniques as well as modern technology to attain unparalleled quality. Each beautiful creation is a celebration of master craftsmanship and innovative Irish design’, says Tommy. The choice of raw materials is very important to this maker who works predominantly with hardwoods, with a preference for native species. His favourite wood at present is Irish oak because of its open grain and its sometimes wild character but he also has a fondness for ash for its flame grain and its fresh creamy tones, and of course olive ash; the variation and textures of the grain features can really add the wow factor to a piece. Environmental impact and sustainability are considered from the initial design process right through to the product finishes and packaging of Tommy Carew Design. Both the design and materials are chosen with longevity in mind. “I like to think of my work being passed down through families or being modified and reused creatively in the future. I’m fanatical about good design that can stand the test of time, “ he says. Tommy is currently completing a ‘Building Craft and Design Enterprises’ course with Galway Local Enterprise Office and Design & Crafts Council of Ireland. As part of this course, his work will be available to purchase in a group pop-up shop in Cornstore Mall in Galway City from July 17-30 which coincides with Irish Design Works exhibit.